Most people strive to grow through visions and plans for the future. 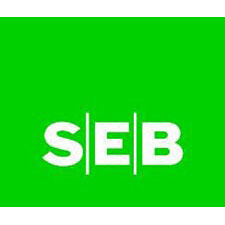 At SEB we see it as our job to be there as our customers turn these ambitions into reality; to make our knowledge available and be their trusted partner in both good and bad times; give good advice on a daily basis – but also to anticipate future needs. That is why cross-border co-operation is a success factor for us – one SEB, where differences in culture, individual background and skills are woven together into a whole that has tangible benefits for our customers. We are different from other Nordic banks in several ways, but mainly through our unique business mix with an emphasis on corporate banking and through deep and long-term relationships with our customers in the Nordic and Baltic countries and Germany.